The Dashboard is a personal page for each user. While users can customize their own dashboards, it is important to start with a good variety of useful information for the learning experience. 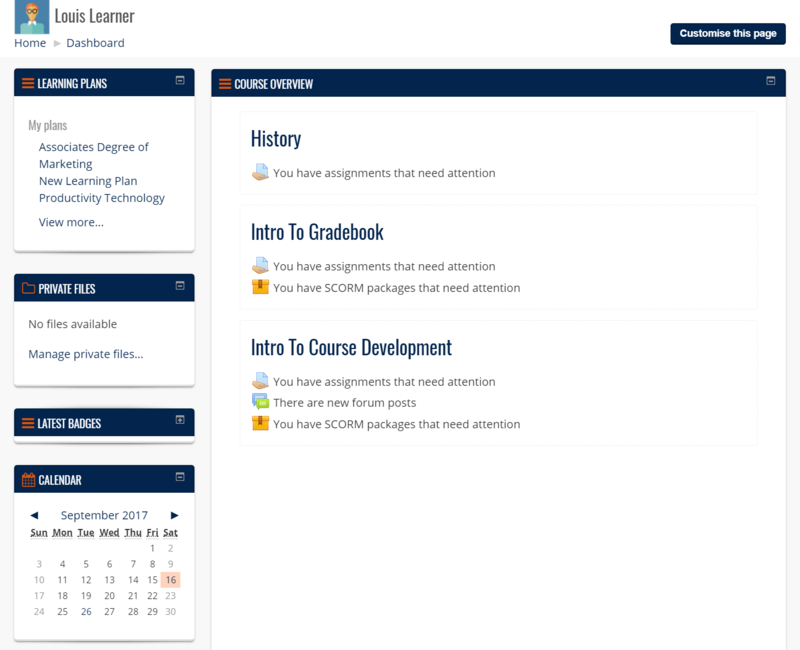 Do you want learners to use the Dashboard? Is the information presented in an easy to use format? Does the Dashboard match the rest of the site theme design? Browse each tab for sample dashboard designs to consider.